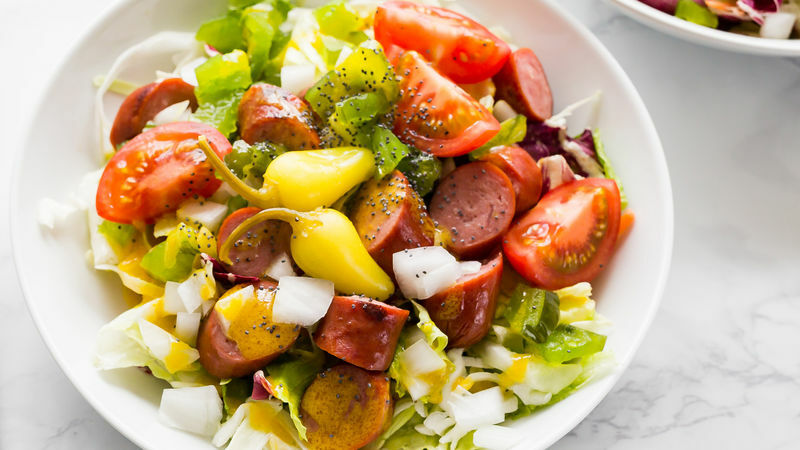 If loaded Chicago-style hot dogs are your favorite, this salad is for you. 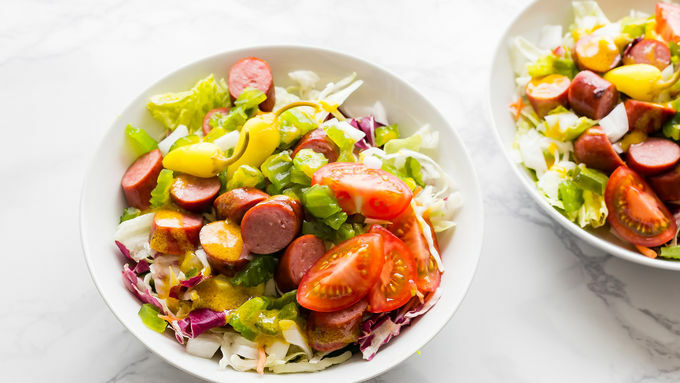 Take all of the classic toppings—relish, tomatoes, onions and spicy peppers—and pile them atop a mound of hot dogs, greens and coleslaw. Then drizzle on a tasty honey-mustard dressing. And you’ve got the best flavors, served up salad style. This is great way to give gluten-free guests a bun-free hot dog at your next backyard party, and a perfect way to enjoy favorite flavors, with a lower-carb twist. So grab your fork, give this casual spin on a bowl of greens a try and enjoy everything you love about Chicago-style hot dogs (minus the bun).